The 3D printing sector has seen interesting advances over 2014 with this growing technology in use on earth and in space. The International Space Station (ISS) has installed its first 3D printer. Before the installation, start up company Made in Space tested the printer in zero-gravity on an airplane. With the printer on-board, astronauts will be able to print physical parts themselves without needing to commission them from earth and get rocketed into space (both costly and time consuming). Printed parts in theory will be able to replace faulty parts or maintain certain equipment in the ISS. In parallel, researchers from the University of Oslo have designed bots that can already adapt to unforeseen problems and 3D-print new parts for themselves (ie. self healing manufacture) and apply intelligent best adaptation to its environment. The options are limitless the scientists believe, based on a few limited instructions ie. what to do, how fast to go, its size and energy consumption. The ingenuity for an autonomous computer being able to consider thousands of options simultaneously and 3D-print parts to create a new model, creates an intriguing possibility perhaps for ‘3-D Printing as a Service’ for MSPs? 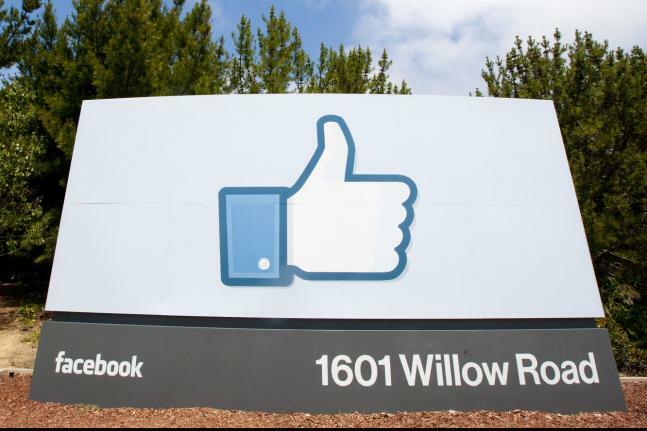 Is business ready to accept ‘Facebook at Work’? Although not formally announced, ‘Facebook at Work’ has been heavily rumoured to be used internally at the company, with a worldwide launch for business imminent. Apparently, it is distinct from its current consumer model by barring personal details and helping overcome being blacklisted by organisations which disallow social media engagement at work. With the rise of social networking and collaboration, Facebook is cleverly poised through its dominant position with over one billion Facebook accounts, to try to take on the likes of LinkedIn and other corporate-focused social networks like Microsoft’s Lync and Skype. The diversification opportunities deepen, as collaboration leads to online storage where users upload and collaborate on documents with other users of the service. The real question is whether, despite all their canny commercial plans, and even accounting for proper security and governance procedures, will the sheer name of ‘Facebook’ simply scare off a lot of companies? Ultimately, the scale and impact of social networking cannot be ignored, but overcoming assumptions about the brand and how it will advocate its handling of public and private information will be the largest hurdle facing Facebook as it stares out from this mirror of opportunity. NHS England’s National Director for Patients & Information, Tim Kelsey, has announced the publication of its ‘Personalised Health and Care 2020 Strategy’. This paper confirms NHS England’s intention to go paperless by 2018-20, or face having its funding pulled. At its heart, patient care records must be available across urgent care services by 2018 and throughout all NHS organisations by 2020 to create joined up practice amongst professionals, speed and efficiencies and avoidance of errors (ie. in prescriptions). Only 4% of records are currently accessible online. The technical challenge around IT remains that many of the NHS’s PCs are still running the soon to be defunct Windows XP. If as stated, financial resources will be made available to assist healthcare organisations, this will come as good news for IT teams and MSPs to help support any such migration to make the NHS fit for digital. However, it must remain an integrated and secure approach. The BMA’s GP Committee Chair Chaand Nagpaul concluded that “..the most critical aspects to get right beforehand are the safeguards, confidence and trust of patients”. Added to this, should be the strict management of patient data to prevent it being sold unknowingly to third party commercial organisations for private profit. Following errors on the Care.data scheme debacle earlier in 2014 which failed to have appropriate data privacy safeguards in place, this is a very valid point, but should not stop future rollout if armed with correct good practice and security and governance policies. Hopefully, with National Data Guardian Dame Fiona Caldicott now on board, this will no longer be an issue. The key obstacle instead will be how much money healthcare organisations can secure to cover the necessary IT ‘fit for future’ upgrade investments. In a separate move, with the rapid increase in health-related apps for mobile phones and other personal devices available in the market, NHS chiefs are backing a “kitemark” for health-related smartphone apps to validate those deemed as safe to use by patients to help them manage health conditions. It also includes an e-version of the red book recording baby’s immunisations and development to be online from 2016, to counter the loss of key info if the actual book goes missing and the child requires vaccination, review or emergency treatment. Speaking at Harvard Law School, Brad Smith, Microsoft’s general counsel, described the increasing battle between technology companies and governments over data access and user privacy as unworkable, along with the need for integrated discussions from different government departments. “Ultimately there are only two ways to better protect peoples privacy: stronger technology or better laws,” he said. Smith confirmed that a new consensus had to be sought to balance public safety and personal privacy – hence the spate of courtroom battles in Europe and the US to protect their position (as last reported in our blog on 8th August). A reminder that Microsoft’s first sea change was in response to the 9/11 terrorist attacks in September 2001 when Microsoft and other internet companies and telecoms organisations agreed to voluntarily share data with US law agencies. Microsoft adopted the principle that if it was legally obligated to do something it would comply, but otherwise it would not and that if its Government desired greater powers that had to be agreed by Congress. The second game changer was the leaking of classified information about widespread surveillance and data collection by the US government, from disaffected NSA worker Edward Snowden. The impact of this was an immense loss of trust of technology companies by enterprise customers, with heightened concerns in Europe, Brazil and Japan. Microsoft’s own survey found a 10-15% overall drop in trust from customers. Besides strengthening encryption, Microsoft’s counter was to bolster its legal position around its enterprise client’s data: “We said, if the US government came and served a subpoena on us, seeking the email or other records of an enterprise customer, we would resist that, we would go to court, we would argue to a federal judge that that subpoena ought to be served on the customer, not on us. Second, we said that if the data in question were stored exclusively outside the United States, we would go to court and challenge the extraterritorial reach,” Smith said. US citizens might start to bristle if they thought about the long game. For example, Chinese firm Alibaba is likely to go ahead and build a data centre in the US. What then if the Chinese Government, Russian, Iranian or North Korean Government wanted to gain access to data stored in an offshore country? How are those citizens’ rights protected, as it would no longer be by its own constitution and laws. It is right for Microsoft to push this issue hard on the principle, as it goes right to the heart of the debate around safeguarding data, and on which our business rests. But it is also about the policies and governance of that data along with compliance, to ensure end to end assurance and retain the trust of our business customers. For Microsoft, both Windows and Office have been the two big money makers for a long time. 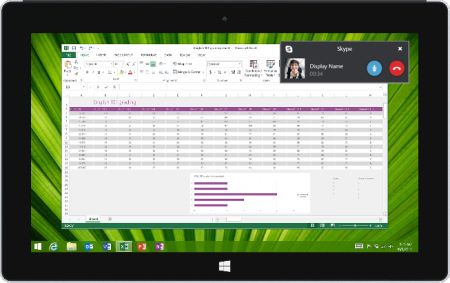 Despite the continued success of Microsoft Office, big changes are looming due to the rise of small, smart devices. For many years, shareholders and consumers alike were demanding Office should also be available on devices like the iPad and Android tablets, as this is where the mobile market share was, in addition to Microsoft’s own tablets. This year Microsoft delivered the app, however users needed a paid Office 365 account to edit documents with no option the buy the app outright as with competitors’ alternatives. Now Microsoft has changed their tune yet again, opening mobile Office for all. Now users can download the free app and edit documents without either a one-time payment or a subscription charge. This marks a huge strategic change of direction for the Office team, once a premium, mobile consumers and workers alike can use best-of-class Office for free instead of look-a-likes. In addition to a change in business direction for Microsoft, giving everyone free and easy access to Office on the go makes going BYOD a much simpler proposition. Now, no matter if a user comes in with an iPhone, iPad, or Android phone or tablet (Windows Phones already came with Office so were always easier to manage), you can now direct them, even automatically with an MDM platform, to download the free Office apps without the need to worry about subscription accounts or managing paid downloads. Of course with employees even more likely than ever to be editing documents on their mobile device, the need for a coherent MDM policy to secure and contain the data becomes paramount. Microsoft have announced a unique partnership with Guide Dogs UK charity and urban design group Future Cities Catapault to empower and offer independence to blind and partially sighted people in the UK. This has the potential to change the lives of over two million people in the UK alone. Most successful projects have a personal connect which drives effort forwards. In this case it was a visually impaired Microsoft employee who cued the firm into collaborating on the pilot. Microsoft acknowledges a lot of information comes from GPS and annotated maps in the Cloud, not just the lampposts on which the beacons sit. The technology uses a headset that talks visually to the user with 3D sound conducted through bone conducting headphones ie. “parked cars and overhanging trees ahead” and clicking noises to confirm a desired route and assure the user they are staying on course. The relayed information on location and navigation data is made via a smartphone (Windows or android) along a boosted route indoors or outdoors with wifi hotspots and bluetooth beacons. It is like an intelligent Sat Nav for the walker enabling those affected to step out with increased confidence to safely navigate a town or city thoroughfare. The spinoffs are two fold. From an employment perspective, the potential for the visually impaired to seek employment and travel to work for the first time when they would not have done so before is huge. With 246 million people across the UK and US visually impaired and 65% out of work, this could change the landscape for accessing employers. Secondly, the wider ramification of a near invisible technology could extend into an additional technology lifestyle assist, with realtime traffic information (“Your bus is running 10 minutes late”), to assistance in exploring cities or finding places. Are companies doing their best to speed up collaboration and productivity amongst the workforce? A new joint study of finance, HR and IT staff from 160 mid-tier organisations by Source for Consulting and Advance Business Solutions (ABS) has revealed that 79% of employees believe social media integration with back-office solutions is essential to improving productivity, collaboration and supplier engagement. Perhaps surprisingly, 69% felt that social networks could help cut down on unnecessary email. Whilst 86% of organisations use social media for external marketing, only 17% use social media tools such as enterprise social network systems to collaborate and share information internally. One of the benefits of social media can be to streamline the recruitment processes by enabling companies to engage directly with potential employees and providing specific e-recruitment solutions to manage online applications. Worldwide publisher Pearson formally used a software system called Neo but found far greater take up with an application called Jive, which has seen adoption grow to 10,000 of its staff globally since 2011. Any technology that can bring a workforce, especially a disparately located one, closer together and increase productivity is something certainly to be considered by any Board. Surmounting the notion of internally employed social media on the other hand is an education path that needs careful navigation, understanding and education if it is to be successfully deployed. 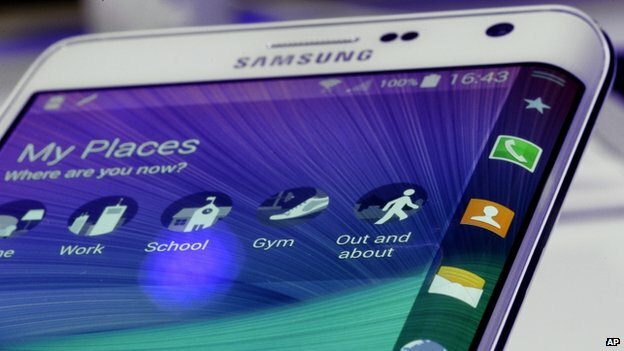 Samsung appears not to be wowing its customers as much as it did before. The tech giant is seeing competitors like Sony, HTC and Chinese brands start to bite into its previously dominant market share, with more innovative and interesting products in this highly commoditised mobile market. 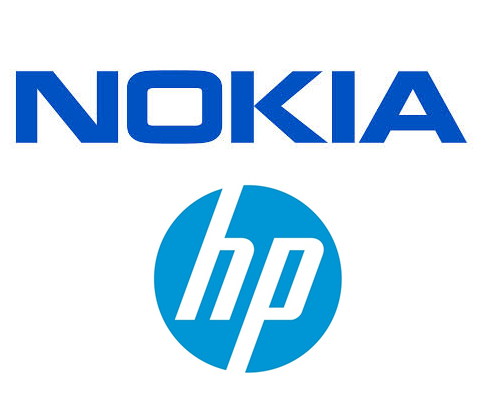 Its position as the world’s largest smartphone maker with 25% of the global market for smartphones should have been consolidated with better profitability in its results. However, the decision to push out the Galaxy S5 in April, be the first to launch the smartwatch last year AND rush other releases ahead of schedule in September (Galaxy Note 4 and Galaxy Note Edge), to see off competition from Apple’s larger screen iPhones, failed to deliver on the balance sheets. Added to this, the delay in launching the long-awaited Tizen operating system, which would have reduced its reliance on Google’s Android system for its phones seems to be showing the cracks in overall strategy, as Samsung’s operating profit (where mobile business provides 70% of income), fell by 60% against the same period last year with sales falling commensurately by 20%. The technology market is moving very fast and there remains a rapacious appetite for transformative and innovative developments, but Samsung has lacked the integration and added value that has benefited its rival Apple for example, which sought to make their smartwatches work with their phones, tablets, PC or TVs, positioning them to be able to mine behavioural data insights, future trends and revenue opportunities. Additionally, Samsung have ignored the lower end of the market where Chinese company Xiaomi has started to mop up in the emerging markets. Forecasting sales of 60 million budget smartphone handsets in China alone for 2014, Xiaomi offers almost flagship quality at reasonable price and a good spec (no doubt helped by their poaching a key Google exec for product development to help target western markets). An indicator of Xiaomi’s true ambitions may be the news that the Chinese firm intends to open an Indian data centre to overcome concerns from the Indian Government against its military using the devices because of privacy fears over the data being kept in Beijing. This is probably the single largest barrier to Xiaomi’s expansion plans in the world. They have already been moving non-Chinese data into Amazon data centres and whilst they advise they never collect user data without permission, with 100,000 handsets sold every week, assuring the Indian market of its good intent, would certainly send the right signal and open the door for more rapid growth and potential market share gain worldwide. Announcing a new product one day and releasing it the next used to be associated exclusively with Apple, however recently Microsoft managed to surprise the tech press by stealth releasing its rumoured, but not leaked, new wearable – the day after its announcement last Thursday. 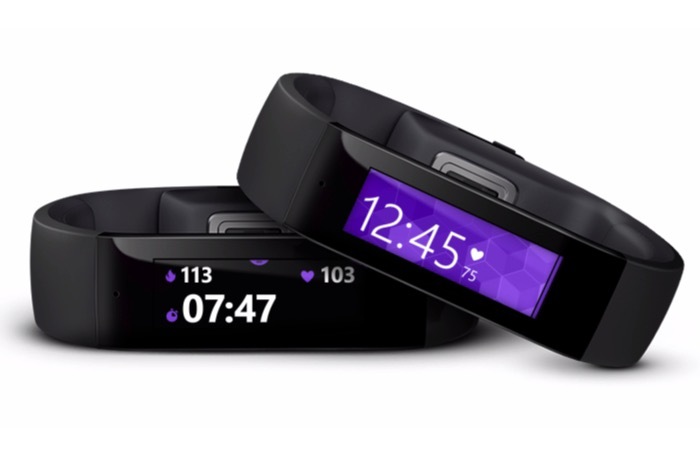 Microsoft’s new wearable is simply named Band, comes in three sizes and is worn around the wrist. Featuring a better than average 2-day battery, 10 different sensors, GPS and a horizontal screen made up of tiles as seen in Windows and Windows Phone. Unlike the Apple Watch and Google Wear, Band works across all mobile platforms including iOS, Android and Windows Phone giving it a competitive edge to those who do not want to be locked into one particular platform. Band has two main focuses; for the fitness conscious it can monitor pulse rate, calorie burn and quality of sleep. It also works as a smart watch, showing the time and giving you at a glance, notification such as texts, emails, calendar and social network alerts. Band also goes a step further by combining these two areas. For example, Band can detect if calendar meetings with particular people are likely to raise your stress levels based on your pulse rate from previous meetings. Microsoft may be last out of the big three to unveil its wearable solution but its stealth release puts it way ahead of Apple’s Watch release if Spring next year. With the wide compatibility across different devices and the combination of price ($199), size, battery and features, Microsoft’s first wearable offering makes a compelling proposition. What is yet to be confirmed is whether Microsoft will be looking to licence its new wearable platform to other OEMs as it does with PCs, Tablets and Phones. A new platform that is compatible across all devices could see as big a success as Windows on PCs and Android on Smartphones has proven before. Are non-wearable devices the new threat to wearables? Wearable technology is finally picking up steam with the three big players in mobile now all having their own wearable solutions. Wearables have a lot of applications but the biggest overlap feature and focus is on healthcare. For healthcare, wearables make a lot of sense. Sensors on the device can have direct, consistent contact with the user’s skin, allowing all sorts of analytical data to be accrued. Will everyone be happy to wear one of these devices, or will their use be limited to tech enthusiasts? Or is there another, less intrusive alternative? Video game Company Nintendo is no stranger to incorporating technology with health and fitness. As well as traditional video games, Nintendo has been making software to keep people active. The bundled launch game Wii Sports included with the Wii took advantage of the Wii Remotes at-the-time unique accelerometer (a technology now standard in smart devices). This gets people off the couch to re-enact real sports and has found its way into over 80 million homes worldwide. Their Wii Fit software was even less game-like and came as a pair with its Balance Board selling over 20 million units, and their latest portable game playing device (3DS) has health based sensors built in. Of course all of these, games or not, are currently limited to being use on Nintendo’s game devices. Earlier this year the Japanese gaming giant quietly announced a new non-gaming division of the business to create technology around Quality Of Life (QOL) and non-wearable technology and one that is not reliant on its own gaming devices. Detailed this week, the first product will arrive in the financial year ending March 2016 and is focused around your sleep and co-developed with US Company ResMed. A small box like device can be placed upon your bedside table and wirelessly monitor your sleeping habits via radio waves. Without intrusive human contact, the device can detect heart rate, respiration and fatigue. The data is sent to the Cloud where it is analysed and fed back to inform about how to achieve a healthier sleeping pattern. You will then be able view your data on smart devices where it will make recommendations in exercise and diet. Nintendo noted that their know-how in gaming has given them great experience in creating fun-to-use software that people want to come back to daily. If a user is not engaged in the process of improving, this can be the biggest hurdle in maintaining a fitness programme. If Nintendo’s first non-wearable QOL product delivers on its promise of wireless health analytics, it could shake up the current wearables industry as motion control and touch screen gaming did on their Wii and DS systems.